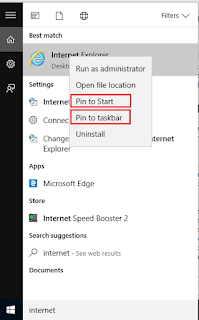 Microsoft Edge is the default browser in Windows 10, but to work on IREPS you need Internet Explorer (IE), here I will show you how to open Internet Explorer 11 in Windows 10 and how you can pin it to your Start Menu or Taskbar for easy access and how you can even set it as your default web browser. 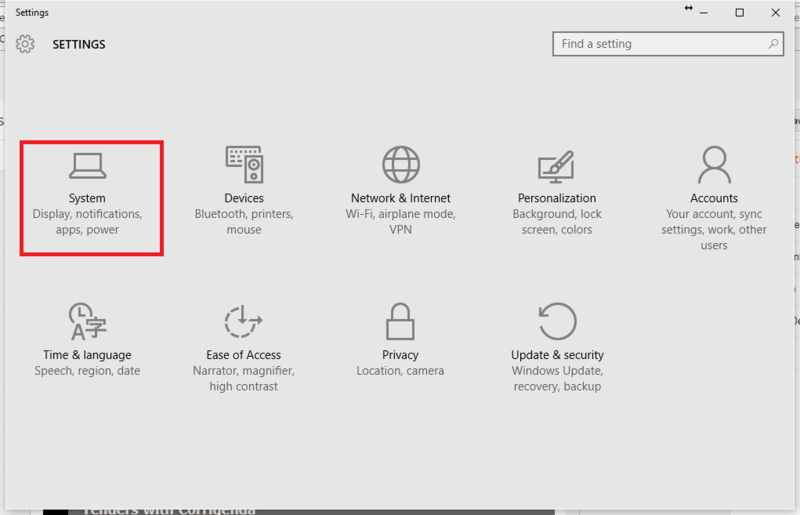 You can find the Internet Explorer easily on Windows 10. 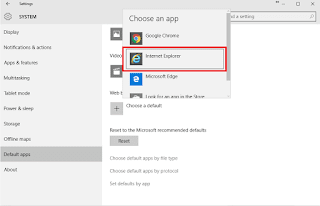 To work with Internet Explorer (IE) on Windows 10 follow the steps given below. 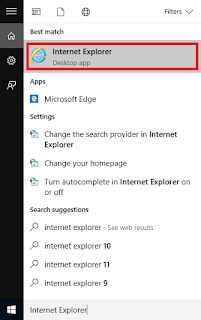 Type the Internet Explorer in the Search Box shown on the taskbar. 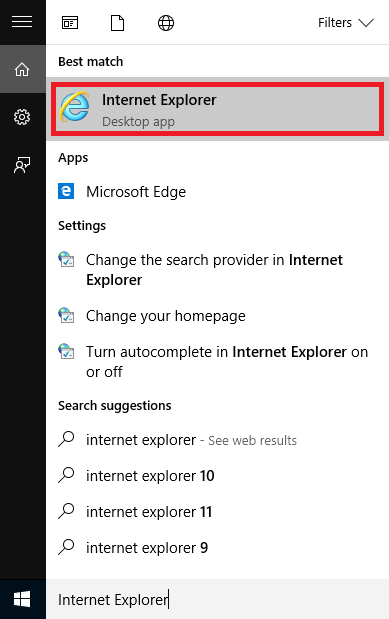 Click on Internet Explorer, it will open the Internet Explorer for you and now you can work on the Internet Explorer on Windows 10. 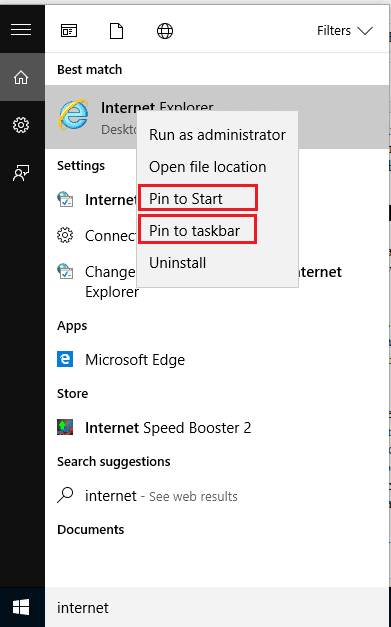 Right-Click on the Internet Explorer as shown below and select Pin to Start and Pin to taskbar, now Internet Explorer (IE) icon will get pinned to your start menu and taskbar. 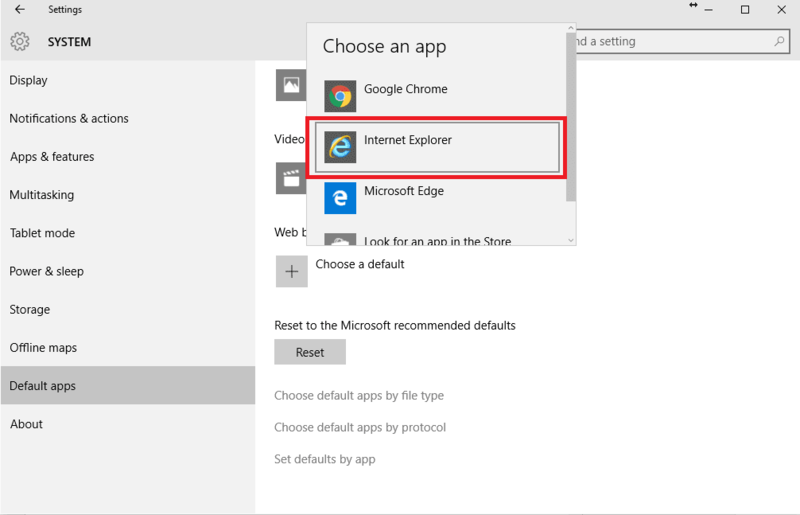 You can easily set Internet Explorer (IE) as your default browser on Windows 10. 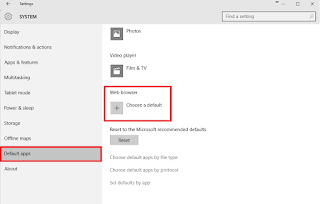 Follow the steps given below to set IE 11 as your default browser. 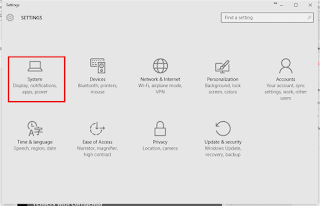 Open the Windows Setting page. 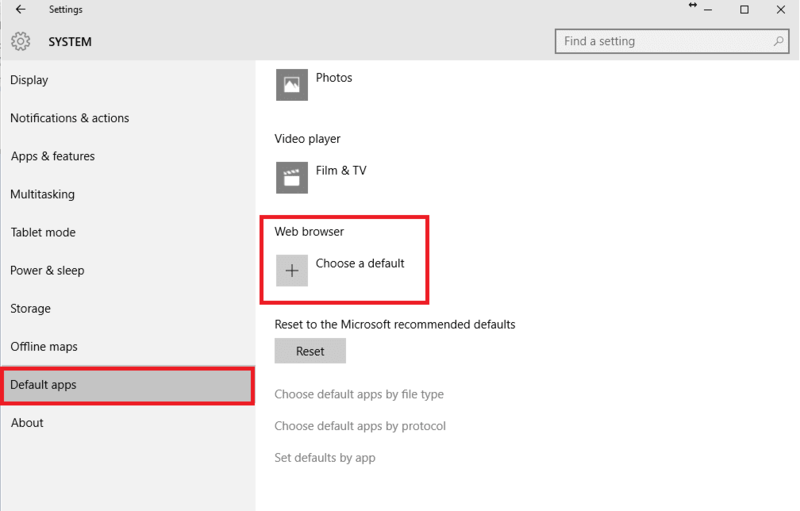 Select the Defaults apps from left navigation and click on 'Choose a default' under Web Browser. 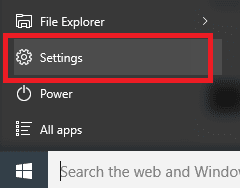 Select Internet Explorer from the list. Now your default web browser has been set to Internet Explorer 11. I'm getting HTTP 500 internal server error after signing k.